Our company is engaged in offering a comprehensive range of TL50 General Purpose Tower Light. These are built-to-order; configure your model today using our online tool, Installs directly on machine quickly and easily with prewired or quick-disconnect options; no assembly required, Features a completely self-contained design; no controller needed, Displays up to 5 colors in a single tower; choice of green, yellow, red, blue or white LED colors, Allows multiple lights to be on simultaneously, Eliminates false indication from ambient light; indicators appear gray when off. We bring forth a comprehensive range of TL30F General Purpose Tower Light. 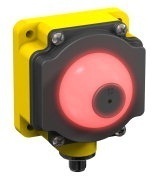 The Illuminated segments provide easy-to-see operator guidance and indication of equipment status, Displays up to 5 colors, Durable flat metal housing is easily mounted on horizontal or vertical surfaces of work centers or automation machinery, Energy efficient LED light sources ensure long operating life with no maintenance, Compact devices are completely self-contained — no controller needed, no assembly required, Immune to ambient light, EMI and RFI interference. 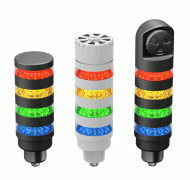 Our company is engaged in offering a comprehensive range of TL50 Beacon Tower Light. 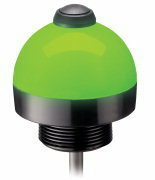 The Illuminated segments provide easy-to-see operator guidance and indication of equipment status when multiple lights may need to be ON simultaneously, Displays up to four colors, Easily adjust for variable sound intensity, Immune to EMI and RFI interference, Audible models available with standard or sealed audible element, Rugged, cost-effective, and easy-to-install, No assembly required. Our company is engaged in offering a comprehensive range of CL50 General Purpose Column Light. 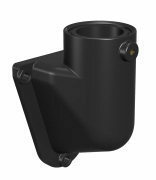 No assembly required, 30 mm threaded base for direct cabinet mounting with a single drilled hole, An extensive variety of bracket and vertical standoff mounting accessories are available, The large single illuminated segment provides easy-to-see operator guidance and indication of equipment status at long distances, Models with 1, 2, or 3 colors available, The LED light sources provide long life (100,000 hours on average) with low power consumption, System is completely self-contained and IEC IP67 rated. Consult factory about customized controller/indicator packages. 10 to 30V dc operation; third wire extinguishes laser light when connected to +V correct dc. We bring forth a comprehensive range of WLA Series Work Light. 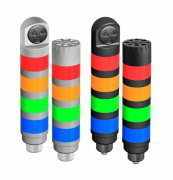 The high power solid state LED array with cool white light, Illuminates a large area with an even pattern of light and no shadows, Designed for area and machine lighting, Rugged thermoplastic housing rated to IP69K, Lensed, non-lensed models available, Cabled and Quick Disconnect models are also available. 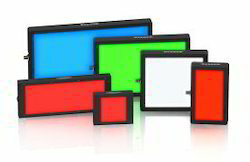 We bring forth a comprehensive range of Backlights. These connects directly to Presence PLUS vision sensors or an external power supply, Installs directly behind the target, Determines the shape and size of target objects, Offers a highly diffused surface and uniform brightness, with a lower intensity than other lights, Provides the most robust lighting for measuring and gauging, Highlights through-holes in target objects, Offers choice of models with infrared or visible red, white, blue or green lights, Provides minimum useful life of 10,000 to 100,000 hours, depending on model. 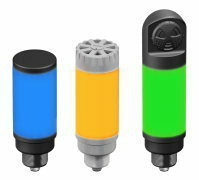 Looking for Lighting and Indicators ?